Customers of T-Mobile and Orange will now be able to use either network in the wake of the two firms’ recent merger, it has been announced. From next month the 30 million customers the firm will be able to make calls and send texts on either network for no extra cost. The move is the first real benefit for customers to emerge from the recent merger between the two mobile giants which has resulted in Everything Everywhere – the UK’s biggest communications company. Customers who sign up for access to both networks will benefit free of charge, with no changes to their existing tariffs or call or text charges. Those who lose signal on one network will then automatically pick up the signal from the other network where it is available. 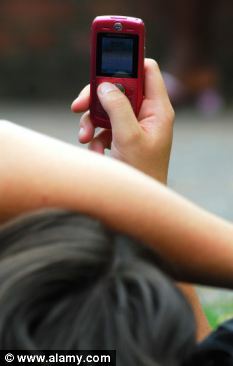 The new system goes live on 5th October for customers of the two firms who sign up for the free ‘roaming’ service. 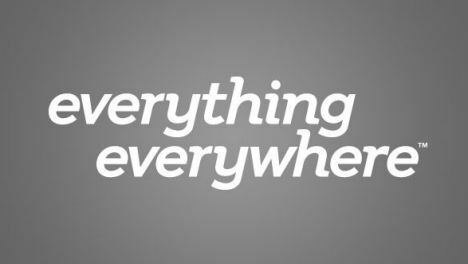 Tom Alexander, CEO of Everything Everywhere – the company that runs Orange and T-Mobile – said: ‘This is the beginning of an ambitious plan to give our customers instant access to whatever they want, wherever they are – instant access to everything everywhere. ‘From next month, we will give almost half of the British population the opportunity to use their phones in more places than ever before. ‘As well as continuing to benefit from their existing network, Orange customers will be able to make calls and send texts on the T-Mobile network and T-Mobile customers will be able to do the same using the Orange network. Next year customers will automatically switch to whichever of the two networks has the strongest signal while they are mid-call, and enhanced data and internet coverage. For now ability to switch networks will be restricted to 2G calls so those who use their phones for internet browsing will not benefit. Next Afghan civilians killed for sport and fingers collected as trophies!